During my time studying for my associate degree, I worked over one thousand hours in the Purdue Veterinary Teaching Hospital. My name is Hannah Giumento. I am currently seeking a full time job as a Registered Veterinary Technician in the Fort Wayne, Indiana area. I am currently student at Purdue University. As of right now I am in the process of getting my Bachelor of Veterinary Technology degree. In December of 2011, I received my Associate of Veterinary Technology degree from Purdue University where I worked over one thousand hours in the Purdue Veterinary Teaching Hospital. My area of interests are small animal, cows, and horses. 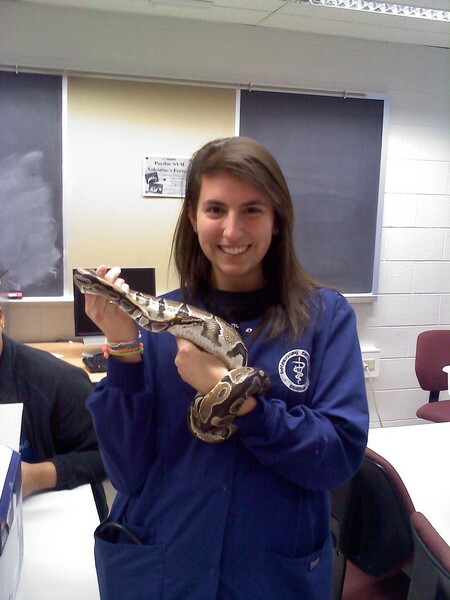 I would love to get more experience with all animals to become a better, well rounded veterinary technician. 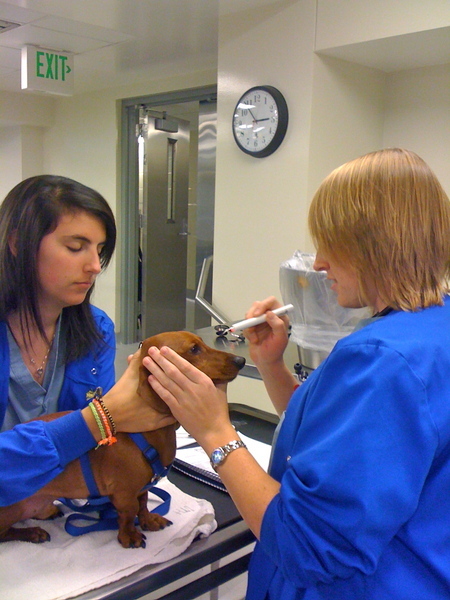 To the left of my website are some pictures of my experiences in the veterinary technology program at Purdue.Please feel free to contact me with any questions you may have. Hope you enjoy my page! I am interested mainly in small animal, though I do enjoy working with cows and horses. I have experience with other animals and exotics and am willing to consider working with them as well. Please see below some of my experiences in the Veterinary Technology Program at Purdue University.